Tunku Tun Aminah Sultan Ibrahim married Dutch-born Dennis Muhammad Abdullah on August 14, 2017, at Istana Bukit Serene in Johor Baru, in a ceremony attended by both their families. Over one thousand guests attended their sitting-in-state ceremony at the Grand Palace later that day. The statement from the Royal Family also touched on rumors concerning the Princess’ ‘business dealings’ concerning skin care and slimming products. The Princess debunked the rumors categorically. “My husband and I are happy, contrary to what the rumors say. 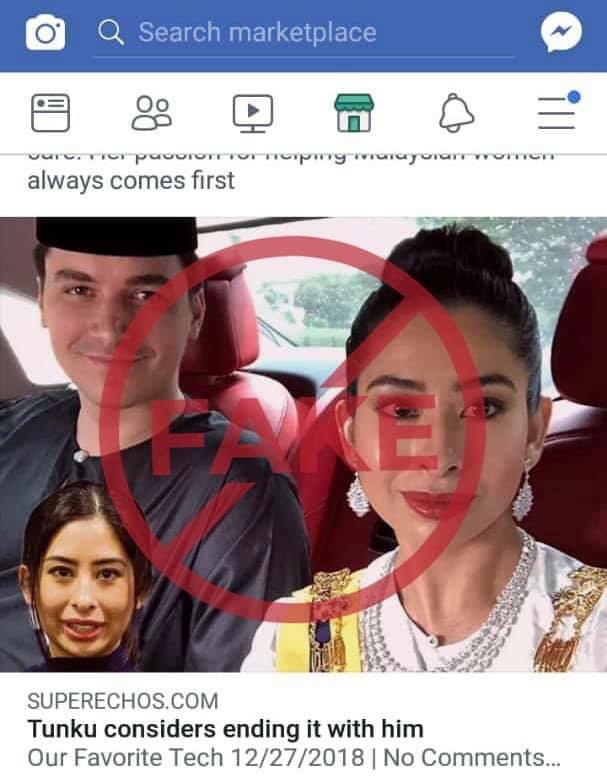 The recent spate of rumours circulating on social media regarding HH Tunku Tun Aminah’s marriage to Encik Dennis Muhammad Abdullah being on the rocks are malicious and untrue. The Johor Royal Family are upset that irresponsible parties are spreading these baseless rumours about their personal lives. In a statement to the Royal Press Office, HH Tunku Aminah voiced her displeasure at rumours circulating on social media about her marriage as well as alleged ‘business dealings’ with skincare and slimming products. “My husband and I are happy, contrary to what the rumours say. “I have also not endorsed any product as written by these unscrupulous people who are out to use my name in order to get attention,” she said. Complaints lodged with Facebook have also not been acted upon promptly. The Johor Royal Family hopes that immediate action will be taken by Facebook to take down the malicious content, in line with the company’s pledge to ensure fake news is dealt with sternly.